Thanks for the report. 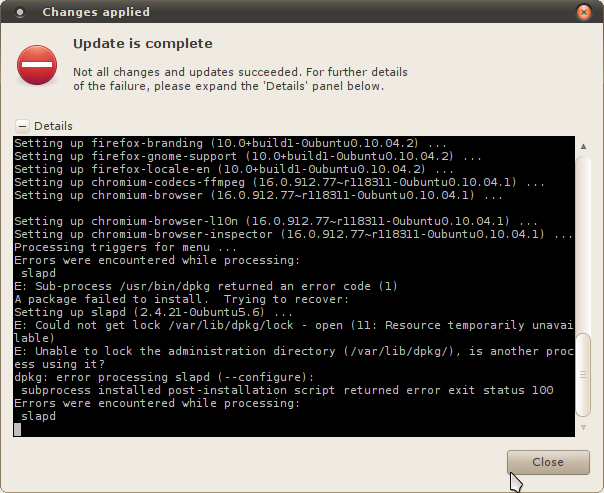 Does commenting out the line SLAPD_CONF in /etc/default/slapd, followed by 'sudo apt-get -f install' resolve your problem? This affects me too. In a grave way. The package is somewhat unusable with automated installers and/or puppet/cfengine. 3) install the slapd package. Omitting slapd configuration as requested. * No configuration file was found for slapd at /etc/ldap/slapd.conf. invoke-rc.d: initscript slapd, action "start" failed. if this error is related to the problem tracked by this bug thread.